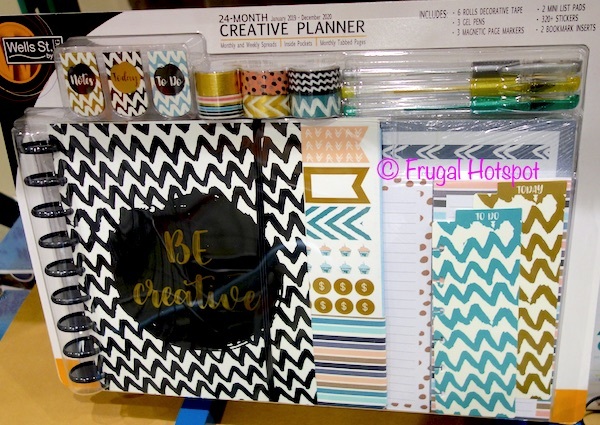 Like to organize your schedule in a creative way? 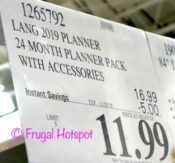 This Wells St. by Lang 24-Month Creative Planner is on sale for $11.99 (after instant savings) at select Costco locations, now through December 16, 2018. While supplies last. That is $5 off Costco’s regular price of $16.99. The 24-month planner runs from January 2019 through December 2020 and includes monthly and weekly spreads. 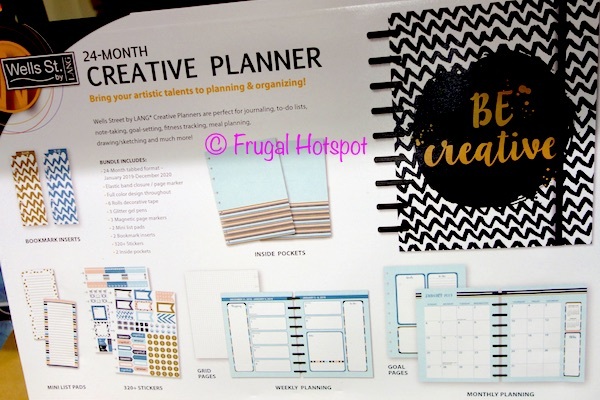 Use the planner to keep track of your schedule but also use it for journaling, to-do lists, note-taking, goal-setting, meal planning, drawing/sketching and more. Item #1265792. Price and participation may vary so it may not be available at your local Costco or it may not be on sale at your local Costco or it may be a different price at your local Costco. Prices & sales dates may change at any time without notice. Photos may not be a perfect representation of the product.